What’s the Best Amusement Park in World? I’m not one to take an amusement park toting itself as “the best amusement park in the world” lightly. I was tired of hearing all about the changes at Cedar Point, Ohio and the difference between Canada’s Wonderland and Cedar Point. 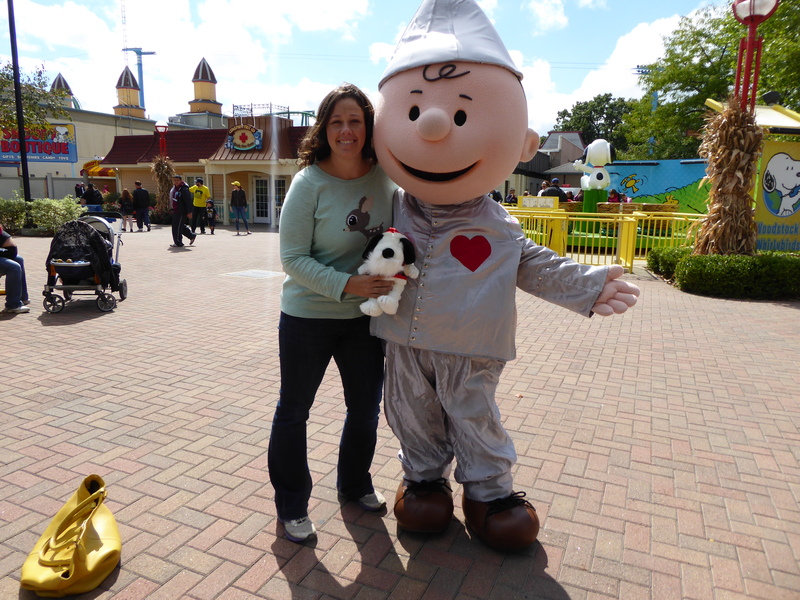 It was time to take this matter into my own hands and head to Cedar Point in Sandusky, Ohio. I decided not to take the kids and to really fly solo on this one. Frankly, they just weren’t tall enough for the type of research this article would require. 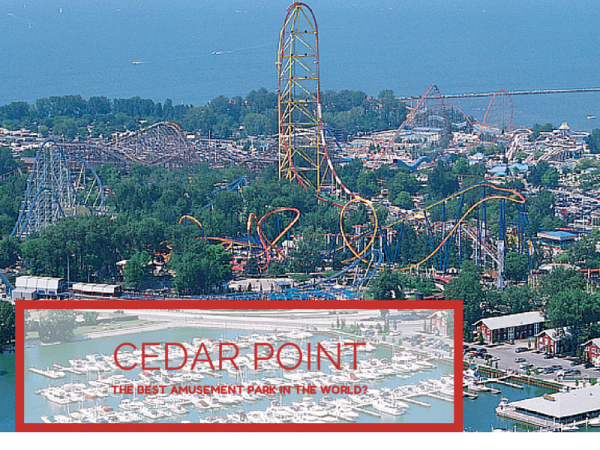 Is Cedar Point the Best Amusement Park in the World? If not, it’s mighty close. It’s hard to control your excitement, even as a 35-year-old mom with a pre-existing neck injury, as you drive towards the park. The rides tower over the landscape and a good part of your heart drops into your stomach. Could I even get myself on these rides? I was about to find out. Cedar Point is known as the Roller Coaster Capital of the World and no one is disputing that fact. There are in total 17 roller coasters at this park and most are not for the faint of heart or weak of stomach. I love roller coasters and this park blew my mind. Being a single rider, I was quickly able to ride a lot of these rides and still realized on my last day there, I had not even seen them all. Forget about riding them all. Everyone who visits Cedar Point leaves with some clear favorites in mind and here were mine. A newer ride at Cedar Point and by far my favorite. I rode the ride for the first time at night without having actually looked at it and could not believe how much fun it was. The ride is incredibly smooth. While riding you feel almost as though you are flying through the air while gripping the safety bar tightly at the same time. The next day, I realized this ride actually stands directly over the main gates of the park (hence the name). The ride is 2 minutes and 20 seconds long and better to ride during the day. The best part of the ride is when you squeeze through the two giant towers that stand above the main gates of the park. Just try not to duck and pull your legs in. There are 6 inversions on this coaster and every one of them is incredibly fun. It’s also the longest wing roller coaster in the world. Run don’t walk to the gatekeeper. If you have visited Canada’s Wonderland, you will remember the Leviathan. Standing 306 feet tall, it towers over the other rides in the park. The Millennium Force has a similar effect at Cedar Point. The ride is bright blue and gigantic. 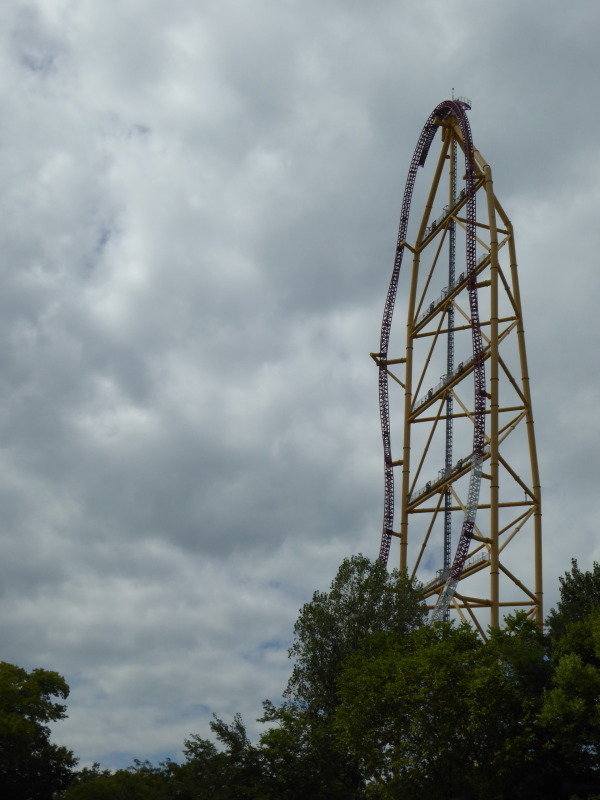 It is so tall (310 feet) that it actually created a new category of roller coaster called the giga-coaster. When standing in line for this ride, the sheer speed and force of the coaster is undeniable. Again, I rode this ride first at night and it is a completely different experience in the day. Upon asking my friend Sherry right at the top if the town I could see was Sandusky, she shut her eyes for the rest of the ride. It’s best to resist doing this as you will miss out on how mind-blowing this ride really is. The only problem is once you have tried it, most other coasters will pale in comparison. This won’t actually happen to you at Cedar Point but it will at other parks. Ladies and Gentlemen, rides don’t get freakier than this. I tried to put on a tough facade with my friend Rebecca on this one but in reality, I had no interest in even attempting this ride. I calmly tried to point out to her that the ride was actually swaying a little and tried to remind her that she had three lovely children back at home but she wasn’t bitting. I had committed and we were getting on this ride. 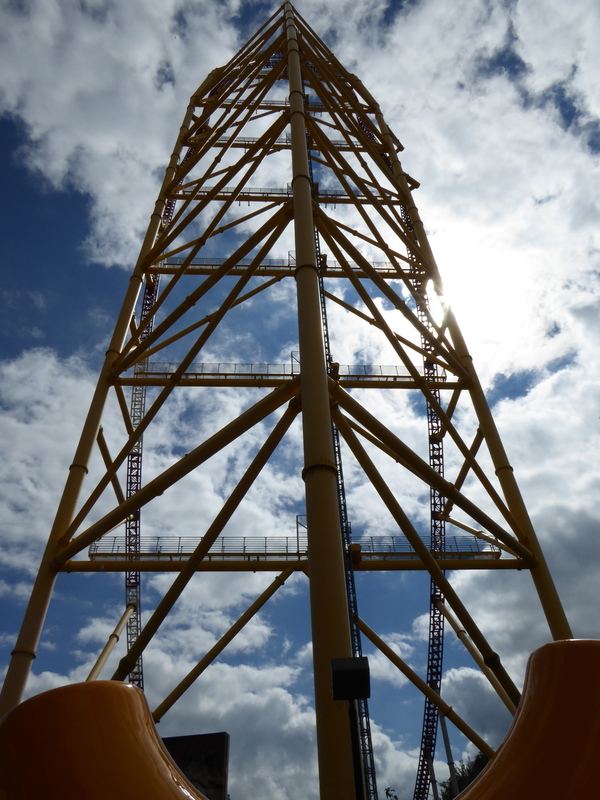 The Top Thrill Dragster goes from 0 to 120 MPH in less than 4 seconds. At the top, you are 420 feet in the air. If that is not enough for you, sometimes the ride doesn’t make it over the top due to weather conditions and other factors and you need to be launched again. If you watch closely, when the ride takes off breaks come out of the ride to ensure that if the ride has a “rollback” it will be able to stop. Rollercoaster aficionados pray for a rollback to happen while they are on the ride. I mostly prayed that I would somehow survive the most terrifying 17 seconds of my life. If you are at Cedar Point, get on this ride. You won’t experience anything else like it in any other amusement park. If you aren’t as into roller coasters as I am, there is still a ton of stuff to do a Cedar Point. The park is located on a literal point on the shores of Lake Erie and besides the park, you also have the option to hit the beach. The park has a huge midway for game lovers and lots of kids rides that are comparable to those at Planet Snoopy in Canada’s Wonderland. The park will debut a new ride in the Spring of 2015. Current roller coaster, the Praying Mantis will be transformed into Rougarou, a roller coaster with a floorless design. 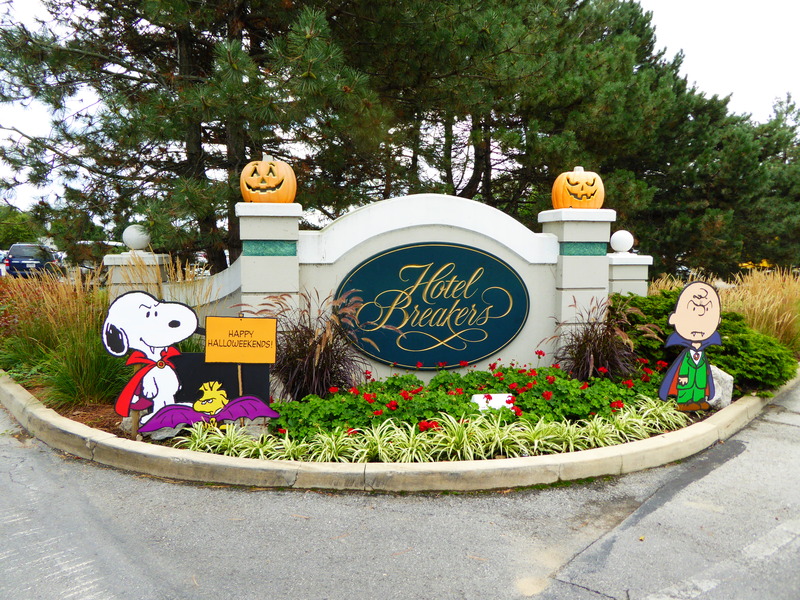 One of the park’s iconic hotels, Hotel Breakers will also receive a much-needed renovation over the winter. A perfect reason to head back and update you all on the changes. Only this time I am bringing my kids. That’s a tough one and it depends who you are. If you are a thrill-seeking roller coaster addict who loves big rides- then yes it is. 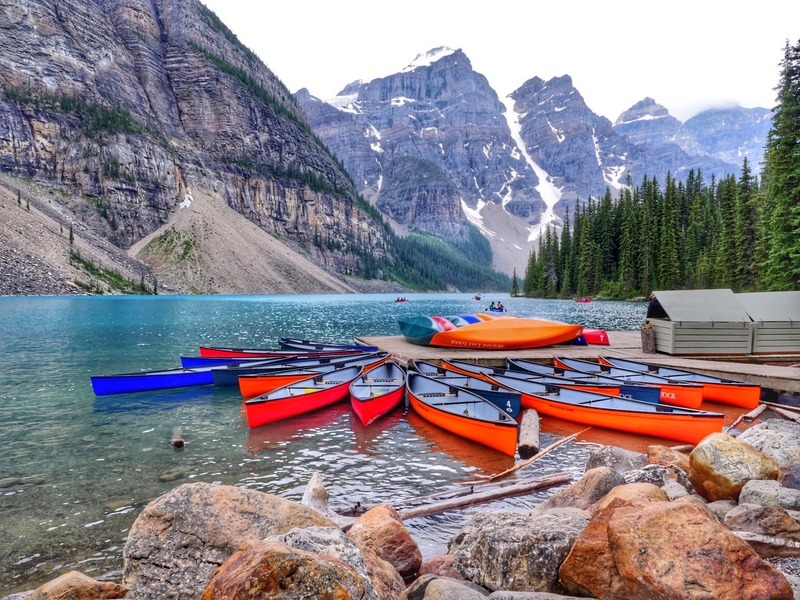 If you are a family who is used to the magic of Walt Disney World or Disneyland– than maybe not (note you also aren’t spending the kind of money at Cedar Point that you are at Disney). It is a different type of park than parks like Universal and Disney and thus they are hard to compare. I can’t say I have ever left an amusement park after 3 days wishing I had more time there. I left Cedar Point wishing for just another day to experience all of the rides and will return to do so soon. My daughter would agree that the Top Thrill Dragster is the most terrifying ride at Cedar Point. Not sure she’ll ever ride it again, but she made it the first time without peeing her pants (her fear). You are so much more brave than me – amusement park rides terrify me! But I do confess to liking waterslides (um, the wimpy kind) and funnel cakes so I still think I’d have fun. Thanks for reading and let me know if you go! It would! I kept finding new ones. I grew up in Ohio so have been to Cedar Point several times as a kid. It looks quite different now but still has a great reputation when it comes to roller coaster and scary rides! !